Tein anopille tässä alkusyksystä kortin hänen isoisästään, jonka hän halusi kehystää seinälle aikaisemmin tehdyn isoäidin kuvan viereen. This is a card of my Mother-in-law's grandfather which I made for her earlier this autumn. She framed it alongside with the picture of her grandmother which I did for her already earlier this year. 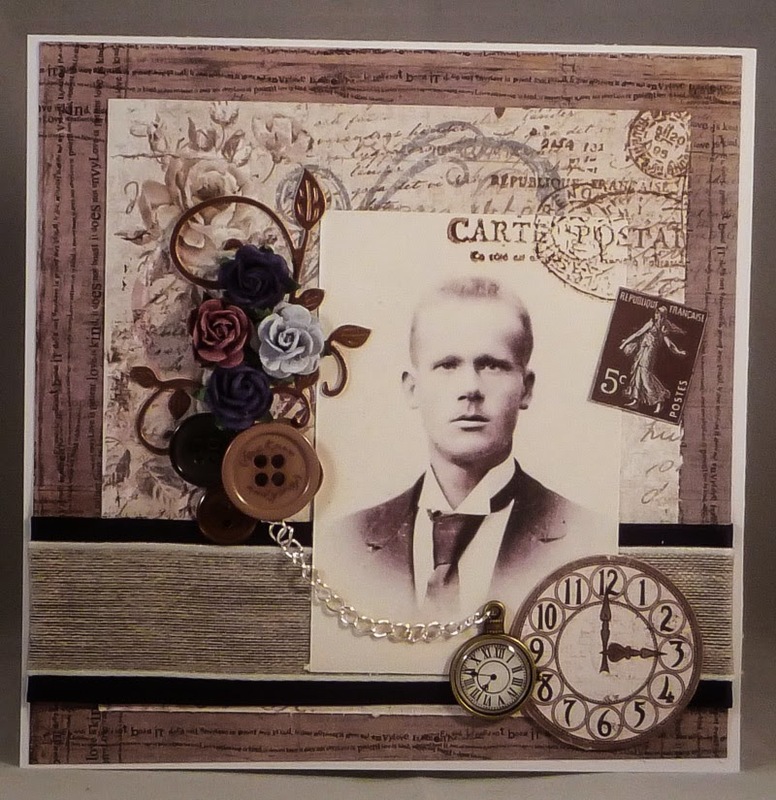 wow, very beautiful masculine card in vintage style. thanks for join us at WLVC. For a lovely man card you have made ​​here! Lovely card. Thanks for participating in our challenge at WLVC. Beautiful card you have created! Thanks for your participation at WLVC. Great card, love al the details and I'm glad you shared it with WLVC. Hope to see you again next time. So great to see a card for a man....we all should make more of those. I like yours very much...thanx for joining us at WLVC.